There’s a delicate science to arriving at the airport at just the right time: get there too late, and you risk missing your flight and dealing with the headache of rebooking; get there too early and you risk ordering too many martinis at the airport lounge. Leave it to the folks at TripIt to come up with the perfect solution. 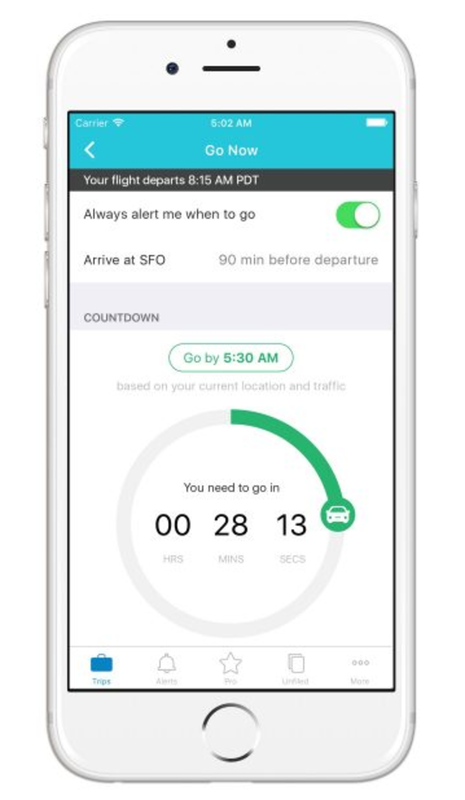 Last week, the popular app — which endeavors to organize all of your travel documents and itineraries in one place — announced “Go Now,” a new feature that will alert travelers to the best time to leave for the airport based on their location, current traffic conditions and flight status. Featured image courtesy of TommL via Getty Images.